Get The HHH App for iPhone Now! Get those misfit projects done! Half Hour Hank is a simple productivity app for all the random, sometimes forgotten household projects in your life. The projects that aren’t considered weekly chores and aren’t really part of larger home improvement projects. Half Hour Hank was designed for the in-betweener projects. The misfits. The ones that always seem to get pushed off. 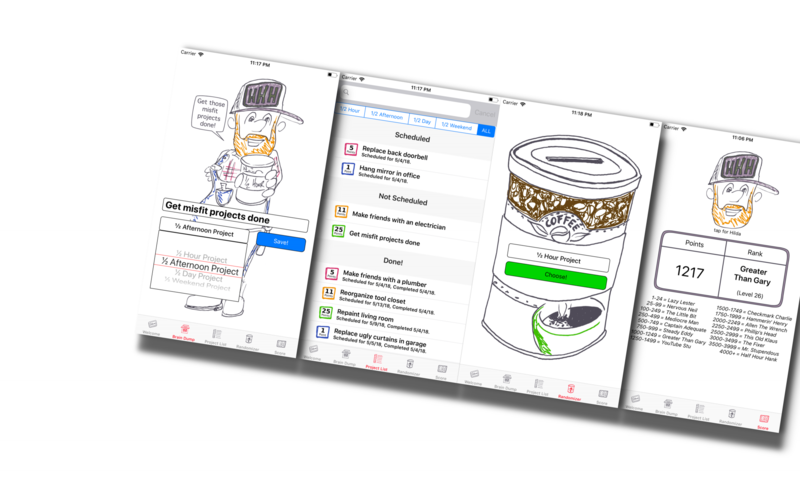 Half Hour Hank was designed to give people a little motivation to finally check those misfit projects off their list. This is just the beginning for Half Hour Hank. I’ve got plenty of other updates in mind to take the concept even further. Check back often for updates!